These literary masterpieces are made easy and interesting. This series features classic tales retold with color illustrations to introduce literature to struggling readers. Each 64-page hardcover book retains key phrases and quotations from the original classics. 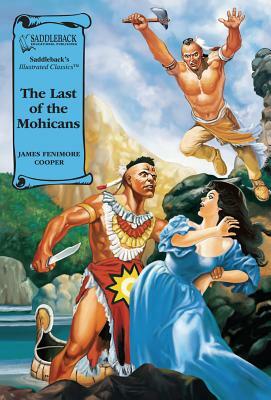 The Last of the Mohicans is a historical story in Cooper's brilliant frontier tales. It is an exciting adventure about America's original inhabitants- our Native Americans- and Hawkeye's heroic plight and pursuit against his white brothers while battling the evil and vengeful Huron Chief Mugua.